"An incredible story of repeated crushing news, events answered with despair then courage, perseverance, sacrifice, faith, hope, but mostly love." 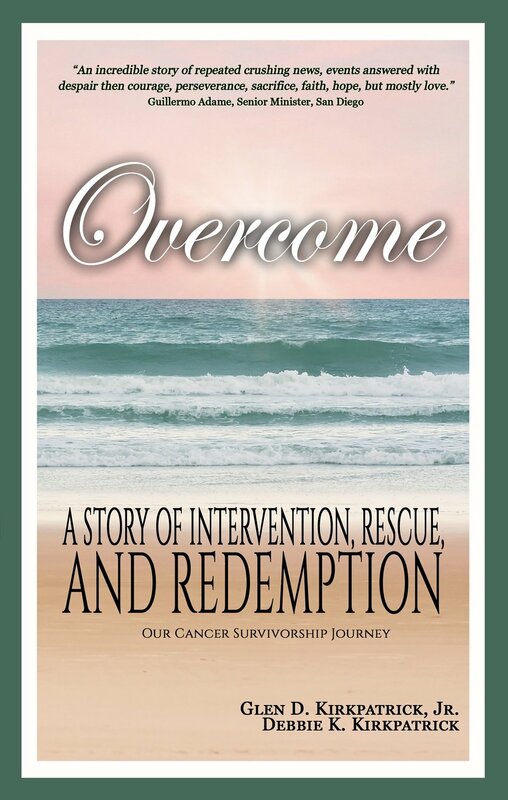 Overcome illustrates the personal anguish of cancer diagnosis, treatments, and unexpected effects of treatments that can occur later in life – something not often talked or written about. The author also shows what family members and caregivers might experience during these challenges. Overcome demonstrates that living with chronic illness is a physical, psychological and spiritual battle. God showed Glen that concentrating on his identity in Christ was key (Romans 8:1) to his faith. Embracing his sonship (Romans 8:14-17) made all the difference in his spirit and daily life.